The UAS (unmanned aerial systems) industry is perhaps one of the fastest growing markets currently, and is constantly evolving. That’s why we have dedicated a two-part series on aerial videography. 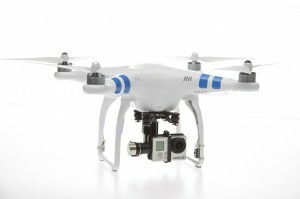 In this blog, we will focus on aerial videography and regulation by the FAA. Aerial videography has taken off in the last few years (no pun intended), so much so that the FAA and congress can’t keep up. “Presently, the FAA is still in the mode where it claims commercial use of drones to be illegal and subject to fines,” claims a dronelaw.com contributor. Dronelaw.com is a popular blog site that serves as a forum for knowledgeable drone pilots to share opinions and updates concerning laws involving drone use. With all of the controversy that exists today between the FAA and the use, both commercial and non-commercial, of drones, there remains a large ‘grey area.’ This is namely because the FAA is not a rule-governing body, and has yet to undertake the required public notice to make an official regulation. In spite of this, and the fact that congress has yet to pass a bill banning the use of drones, the FAA continues to make claims such as the one above. As of today, AeroVironment is the first and only company to get FAA approval for the manufacturing and distribution of drones for commercial use. One of the largest drone manufactures is DJI, who capitalizes on consumer friendliness, making drones that are easy enough to fly that the virtually anyone can learn how to pilot them. The trick is, learning to pilot them effectively. This will be the topic of our next blog, so stay tuned for more.